The use of pH 6.86 buffer to calibrate the offset of pH meters is a quite recent practice. This is due to the fact that even though this buffer offers higher accuracy, it has been know for not being very stable. In addition, the introduction of microprocessors in pH meters, that perform automatic buffer recognition, has eliminated calibration trimmers and screwdrivers. Although, in many cases, this first generation of microprocessor was unable to distinguish between pH 6.86 and pH 7.01. As a consequence, the first was abandoned in favor of the second. 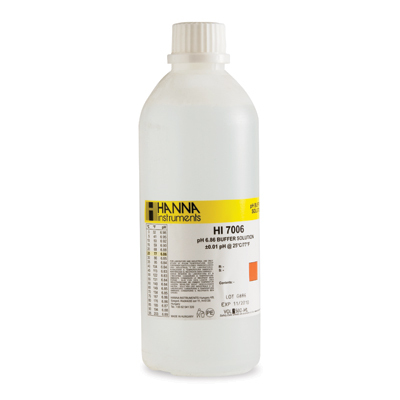 Modern pH meters from HANNA® have brought back this calibration value. Our latest portable and bench microprocessor instruments, may now be calibrated both with pH 6.86 and pH 7.01.